What is this? a bunny for ants? What is this, a bunny rabbit for ants? Found this super cute little guy wandering about abandoned. 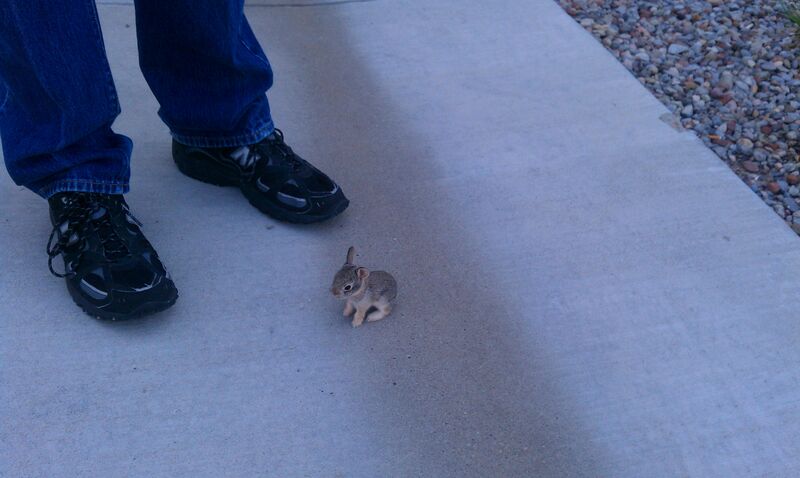 Teeny-weeny rabbit. Hooman feet for scale.